In a Nutshell: El Segundo, third time DUI, BAC of 0.10%, resolved on first time DUI terms, Airport Courthouse. The police then asked him to perform a few field sobriety tests, which the police wrote in the police report he failed. They then asked him to provide a breath sample in a preliminary alcohol screening (PAS) device at the scene, which he did, blowing a sample measured at 0.10% blood alcohol content (BAC). The police then arrested our client and took him to the El Segundo police station, where he submitted to a breath test again, registering the same blood alcohol content. He was then held for about eight hours before being released by signing a promise to appear in the Airport Courthouse for his arraignment in about six weeks. When our client, age 28, retained us, he stated that this was a first time DUI. Therefore, when our office appeared at the arraignment to see that the case was filed as a third time DUI, we were quite surprised. Adding to our surprise was the District Attorney’s comments that the two other convictions, each within six years of the current charges, were matched to our client by name and by fingerprints, no less. Upon looking into the other two convictions, each committed by the same individual in Minnesota, we realized that the fingerprint match may be erroneous. For example, our client’s date of birth differed from the Minnesotan and our client produced his birth certificate to prove his birth date. Our client also had a different social security number than the individual in Minnesota, which he proved by producing his social security card. Lastly, our client had a different middle name than the Minnesotan, although the two shared the same ethnicity and were the same exact height and weight. 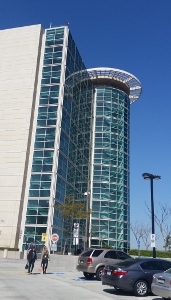 The District Attorney initially insisted that because fingerprints cannot change, but names may be changed and birth certificates, as well as social security cards can be procured with fraudulent information, he would not back off the enhanced charges against our client as a third time offender. Besides, the District Attorney stated, the height and weight matched perfectly. The plea bargain offered was 120 days in county jail, an eighteen-month DUI program (the SB38 program), a $500 court fine, plus penalties and assessments (totaling over $2,400, less credit for one day in custody) and payment of the El Segundo booking fee. Our client was quite upset, as he stated he had never even been to Minnesota before and when the two convictions were reached in Minnesota, he was in undergrad studies in California. To hopefully substantiate this claim, he produced his diploma from UCSD and his day planner for the days in question for the alleged prior convictions. The prosecutor remained stubbornly skeptical. Upon explaining the dilemma to the judge, the judge demanded that the District Attorney secure booking photographs from each Minnesota came. The District Attorney took several months to get such photographs and ultimately gave up, offering to allow our client to plead to a wet reckless (Vehicle Code § 23103 pursuant to 23103.5) as a first-time offense and a dismissal of all DUI charges. The photographs were actually never produced by the Minnesota courts. Our client was relieved and happy, knowing that justice had been reached, rather than a resolution based on administrative errors and expediency or bullying. He was especially happy to avoid a DUI conviction, as the DMV would not require him to install an ignition interlock device (IID) in his car, which he used extensively for work. Having such a device in his car would be embarrassing if any of his co-workers observed him blowing into the tube to allow ignition of his car.